Art Fort Lauderdale welcomes new sponsors including Bank of America, JM Lexus and Moet & Chandon to Art Fort Lauderdale 2019. Fort Lauderdale, FL, January 19, 2019 --(PR.com)-- Art Fort Lauderdale, “The Art Fair on the Water,” is proud to announce participating sponsors for the third annual edition January 24-27, 2019 at its new boarding location Pier Sixty-Six Hotel & Marina (2301 SE 17th St, Fort Lauderdale, FL 33316). Bank of America joins this year for the first time, along with Lexus and Moet & Chandon. Additional sponsors are UniteUs Group, Choose954, Art Money, South Florida Luxury TV, Bellissima Fine Art Services, RAPB + GFLR, Las Olas Capital Arts, Minuteman Press-Wilton Manors, Greater Fort Lauderdale Conventions and Visitors Bureau, Islands of the Bahamas, Museum of Discovery & Science, Nova Southeastern University and NSU Art Museum. Additional Art Fort Lauderdale beverage sponsors include Belvedere, Hennessy, Volcán, Glenmorangie, Stillhouse and Ziami. Realtor Partners include Florida Luxurious and Hodor Hotchkiss. Hotel Partners include Pier Sixty-Six Hotel & Marina, Conrad Fort Lauderdale Beach, Ritz Carlton Fort Lauderdale and W Fort Lauderdale. As a first-time sponsor of Art Fort Lauderdale, and a longtime supporter of arts and culture, Bank of America’s commitment to help further the growth of the fair for their global clientele and the international art world is an incredible testament to the trajectory of the fair and the shared interest in the creation of an intimate experience for art aficionados, collectors and luxury home buyers. Moet & Chandon, the official champagne of Art Fort Lauderdale, will feature a Moet Ice Bar and custom engraved Moet bottles for sale at $50 per bottle (inclusive of engraving). Known as one of the country’s top Lexus dealers, Deerfield Beach based JM Lexus joins Art Fort Lauderdale as a first-time sponsor with displays of their newest models at each home and at the fair’s now legendary Opening Night Reception/Fundraiser to be held at the Pier Sixty-Six Hotel & Marina pool. The display will feature many of their newest models, plus many opportunities for attendees to interact with the brand. In addition, the fair will feature a special Brunch with Obvious, the Paris-based art collective who used artificial intelligence to create the first A.I. art piece to be sold at Christie's auction house in New York for nearly half a million dollars. The AI painting, titled Portrait of Edmond de Belamy, sold for $432,000 (£337,000) – more than 40 times the estimated selling price at the time. The brunch, limited to 36 attendees, will be held at Boatyard on January 27, and include a Brunch Buffet and an unlimited Bellini & Mimosa bar. Attendees get an intimate opportunity to dine with these three pioneers before they do their artDISCOURSE Series artist talk at NSU Art Museum (Horvitz Auditorium) where they will, among other things, explain the artificial intelligence technologies they work with and talk about the parallel between machine and human inventiveness, along with exploring the hints that machine learning technologies can provide regarding our own creativity. First time partner Hennessy will host their exclusive Le Voyage experience on Friday. January 25 – information on the location will be made available on the fair’s social media pages before the opening of the fair. For attendees preparing for the 5 hour “Art Fair On The Water Journey,” food can be purchased prior to departing at the Pelican Landing restaurant located on the Pier Sixty-Six Marina dock, which serves as the fair’s new boarding location thanks to the support of the marina’s director, Megan Washington. Food purchased at the boarding location and can be taken to-go on the journey if the attendee so desires, and food or snacks brought from home are allowed. Media sponsors include Venice Magazine the Official Lifestyle Magazine of Art Fort Lauderdale, Florida Home & Garden the Official Home Magazine of Art Fort Lauderdale, Art Hive, Miami Art Scene, Travel Host Magazine Of Greater Fort Lauderdale, Widewalls and South Florida Luxury TV. For more information on other Art Fort Lauderdale sponsors and partners, please visit www.artftlauderdale.com/partners. Art Fort Lauderdale is a four-day curated art fair that transports attendees on a journey along the famed Intracoastal waterways via water taxi and private yacht with stops at vacant luxury waterfront properties that feature over 100 artists and galleries exhibiting various styles and methods of art that reflect the past, the present and the future. This destination art fair seeks to highlight the uniqueness of the city and put Fort Lauderdale on the art world map as a premier location to view, interact with and purchase art along with giving art aficionados, residents and visitors a cultural experience that is memorable, interactive and engaging. These exhibits will feature paintings, illustrations, sculptures, installations, photographs, films, performance arts and art & technology collaborations in addition to talks with artists, collectors, and curators. Vernissage, the Private Preview and Opening Night Reception, takes place Wednesday, January 23, 11 – 5 PM and 7 PM - 10 PM respectively. 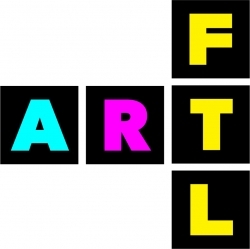 The fair opens to the public on Thursday, January 24 – Sunday, January 27 (for hours please visit artftlauderdale.com). Tickets to the exposition are $55 for one day, $135 for multiple days. For more information About Art Fort Lauderdale and Fort Lauderdale Art & Design Week (Saturday January 19 – Sunday January 27): artftlauderdale.com.